Whether they are big or small, all ceratopsians sure do have a lot of parts. 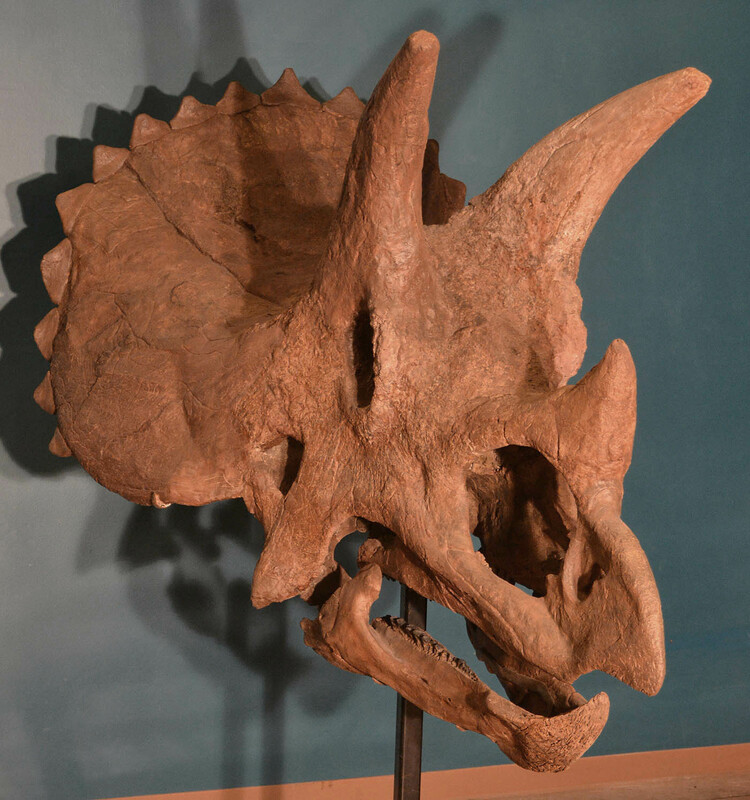 When they are juveniles like our Avaceratops, the lack of fusion in bones makes that even more apparent. For example, the sacrum (the wad of bones that holds up the rear end of the animal) in adults is usually one giant unwieldy piece. In our young animal, it is 26 individual parts, all with some degree of crushing, though not always in the same direction or degree. We've finished preparing the specimen and are busy restoring the individual bones to get molded. Restoration is a catch-all phrase that can mean anything from putting a protective layer of consolidant over the surface to sculpting missing bits to molding crushed vertebral centra, casting them, then cutting up the casts to re-inflate them to their appropriate size. We're even using our trusty 3d scanning and printing equipment again to make precise mirror images of elements we are missing from one side to help complete the skeleton. In the end we'll end up with everything we need for a full sized standing cast skeleton, hopefully by Memorial Day. Dorsal neural spines. Each one gets a centrum once restored. Keep watching the updates on this blog for more news and pics of the restoration, molding and mounting project.